Welcome to the Spring Season of the CS:GO University Championship! Battle it out against Universities across the UK for a chance of an exclusive VIP trip to ESL One Cologne. We encourage students of all skill levels across the UK to get involved. Multiple teams from the same university are welcome and we always find opponents of a similar skill level to you. Are you up for the challenge? Teams will be matched against other teams that have the same/ similar points (wins). We will pre generate a swiss bracket each week based on which teams have “checked-in” to play, this lets us avoid the problem of having to wait for all games in a round to finish before starting next round. This also helps us reduce playing the same team twice but does not eliminate rematches altogether. Teams are matched against each other based on seeding, with the lowest seed playing against the highest seed, the second highest seed playing against the second lowest seed and so on.E.g. 1st vs 8th, 2nd vs 7th, 3rd vs 6th and 4th vs 5th. When a team loses they are eliminated from the tournament and the winners progress onto the next round, this occurs until there is one team left. View full rules doc here. Teams need to check in each week before the deadline or will not be given any fixtures for that week. Teams may have a coach using the in game coaching system by doing “coach ct” or “coach t” in console. Results must submitted by both captains on the tournament page before starting their next game. Screenshots of the final score should also be saved by both teams in case of a dispute. This tournament will be ran using the current competitive map pool. Choice of side starting side will be determined by a knife round. Map selection for Bo1s will be determined by teams taking turns to veto one map until only one map remains. Team B removes one of the 7 maps. Team A removes one of the 6 remaining maps. Team A picks one of the 5 remaining maps, will be played as 1st map. Team B picks one of the 4 remaining maps, will be played as 2nd map. Team B removes one of the 3 maps. Team A removes one of the 2 remaining maps. The last map will be, if needed, played as 3rd map. 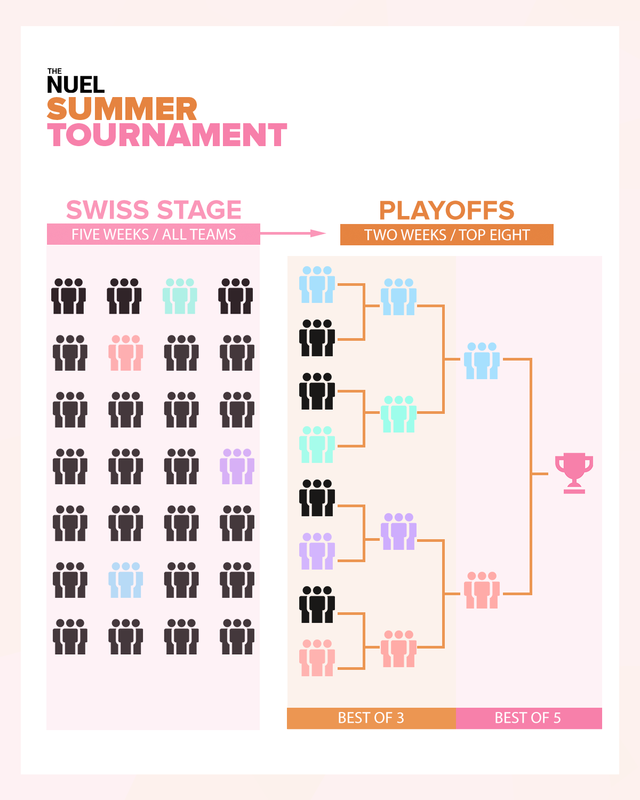 The tournament consists of a three (3) week qualification where you play two (2) best of one’s (Bo1) each night in a swiss style format. The Top 16 teams will then move into the Varsity Division, with everyone else playing in the National Swiss. Teams regardless of initial seeding can make it into the next Varsity Division, with lower ranked teams having a harder path. Tournament are played on Tuesday nights, you are required to check in after qualification to ensure you don't get matched up against a no show. The top 16 from the qualification stage move into a six (6) week double eliminations playing one round per night. Once knocked out the teams will be re-entered into the National Swiss league. Signups for this tournament are now closed.